Attorney General Jeff Sessions has released a new directive to Justice Department lawyers to review consent decrees reached between the Obama administration Justice Department and local police departments to reform systemic police abuses. This is the latest sign of Sessions’s plans to scale back the use of DOJ’s enforcement power to protect civil rights, particularly in the area of police abuse and misconduct. As such, it has alarmed civil rights advocates. But is likely to thrill elements of Donald Trump’s white nationalist base. Since Congress authorized the Justice Department to investigate and litigate these kinds of cases in the wake of the 1991 police beating of Rodney King in Los Angeles, Justice has opened 69 investigations and reached 40 reform agreements, according to a report by the Obama Justice Department released at the end of his term. These are known as “pattern-or-practice” cases, meaning that they address systemic abuses, not single instances of abuse committed by a rogue cop. Sessions has portrayed this program as one of federal overreach. But in the 23-year history of the program DOJ has initiated action against just a tiny fraction of the 18,000 police departments nationwide. 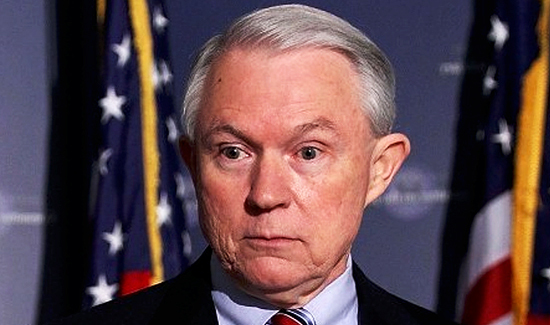 With his new directive, Sessions appears to be hitting the brakes on enforcement of these consent decrees, as they are known, which are agreed to between DOJ and the police departments, after lengthy investigation, and are overseen by the courts, with the goal of reforming ongoing police abuses that violate citizens’ constitutional rights. WP produces yet another racist article. I’ve sat in on one of these DOJ actions. The DOJ prosecutor lied so blatantly in court that his own expert witness sued him. Sessions is wildly popular among those that value honesty, results, and safety.